Now before you rack your brain for a possible acronym that these six letters could possibly stand for I will confide in you, it is pronounced exactly as you think. There are few bands that can promote a name so outlandish and strange, while being able to stay true to those same claims. 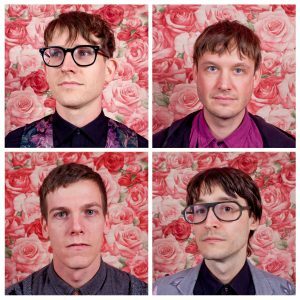 This Portland based band is one of those few. 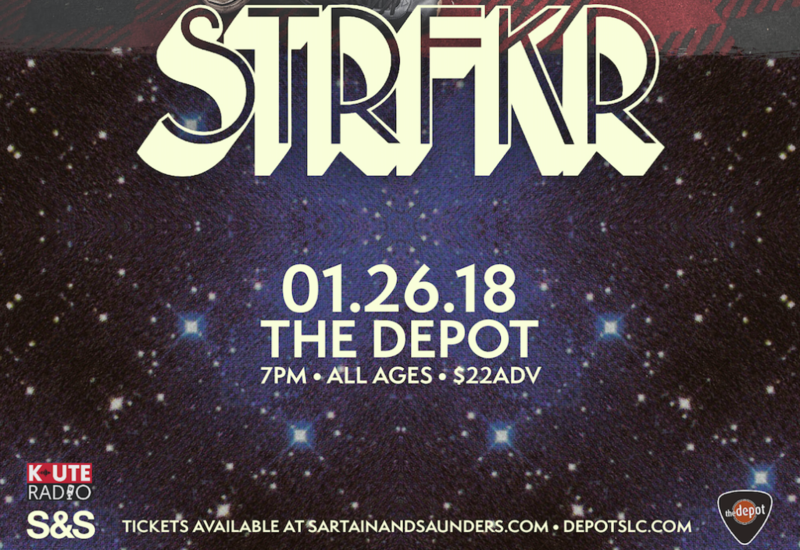 STRFKR took the stage in one of Salt Lake’s most cherished venues, The Depot presented by S & S and K-UTE Radio! The show opened with a set by Reptaliens whose musical genre was much of the indie, electronica, and pop we know so well from STRFKR. However, it was not just the music of Reptaliens that caught the audience’s attention. Throughout their set, a woman dressed in a skin-tight body suit continued to make appearances. A new outfit dressed this mystery woman every song. Close to the end of their set, she was accompanied by what looked like extra extremities. Equipped with about 5-foot-long extensions for arms she danced rhythmically with the music. Creating a kind of hypnotic trance that added perfectly to the psychedelic ambiance and psyching out the crowd. Unfortunately, the trance soon ended, and the audience sat quietly waiting for the main act to appear. Anticipation and longing was all that could be felt in the sea of an impatient audience. With teasers of the bands logo’s appearing then disappearing and musical technicians walking on and off the stage, the audience grew restless and dispersed around the venue. Until… someone else walked on. The audience looked at the stage with excitement. They dismissed this new figure thinking them to be yet another techie fidgeting with yet another musical instrument. 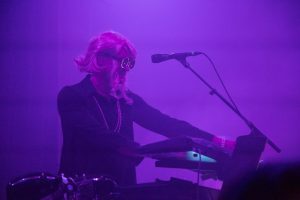 Although when the mystery figure sat in front of the keyboard, a pink, bowl-cut, wig gleamed in the light catching many eyes as well as my own. At this moment the electric keyboard came to life as this thought-to-be-“techie” drew screaming fans from every corner of the venue. Fans rushed towards the stage jumping, screaming, coming to the realization that this was Josh Hodges. STRFKR‘s keyboardist. 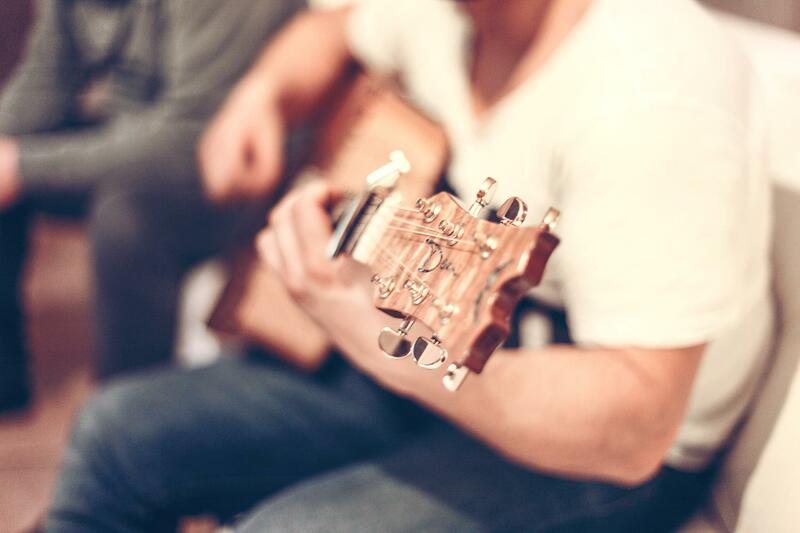 sometimes guitarist, and lead singer, played as his fellow band members joined him on stage. The band enchanted the audience with new hits from their latest release, Vault Vol. 3, such as “Amiee” and “Alaska” but also blessed us with some old favorites like “Rawnald Gregory The Second” and “While I’m Alive”. 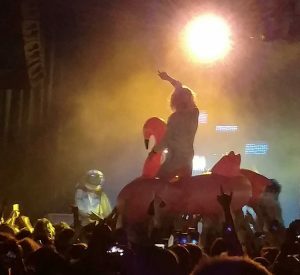 A few astronauts jumping with the music and a human sized bunny shooting streamers through the air accompanied the band onstage. Audience members where periodically picked up by friends and fellow music lovers to crowd surf on a rhythmically moving audience. This concert was one of joy, enchantment, and “good vibes” as my fellow millennials will agree. For those of you who were not able to attend this sold out show, do not fret. They will be sure to come back to our beloved Salt Lake. Once again they will fill a small venue with the “Golden Light” this Portland’s STRFKR is known for.